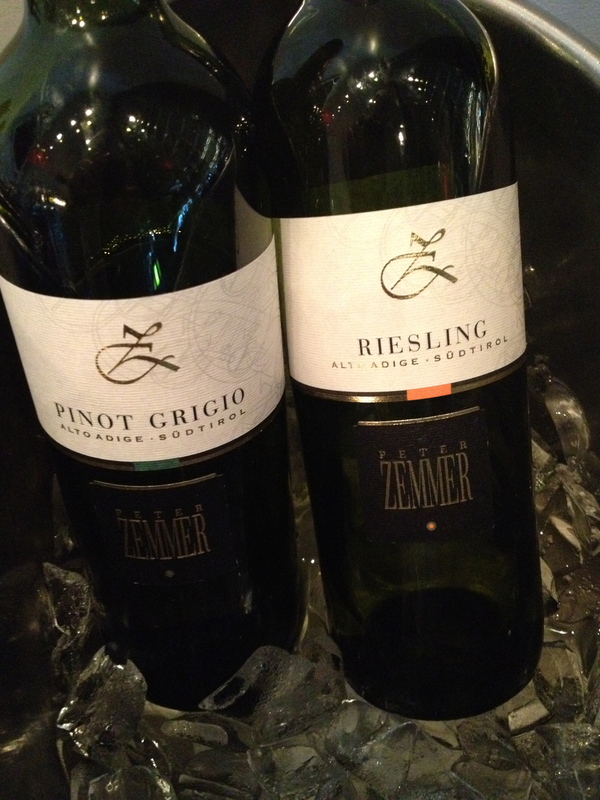 As I entered A Voce Restaurant, I was offered a choice of a glass of Pinot Grigio or Rhine Riesling. I was there for a wine tasting and lunch, so I tried both wines and liked them. 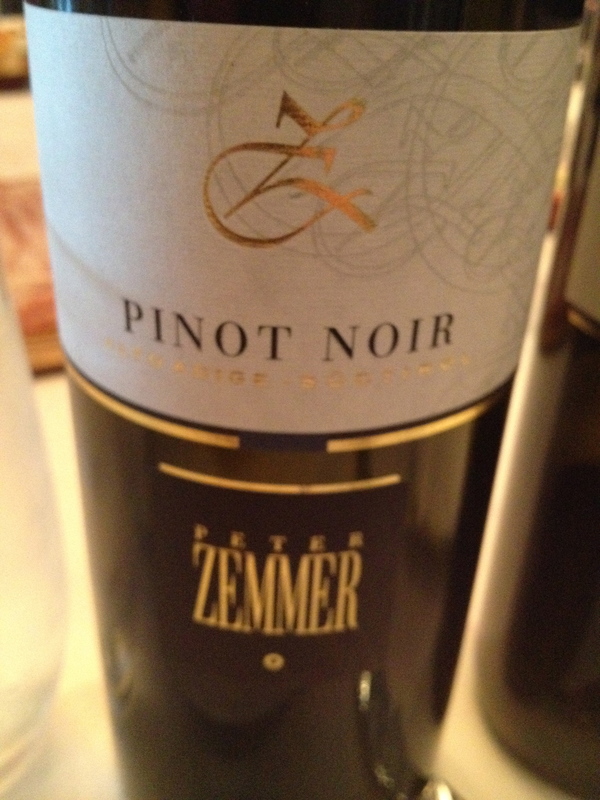 Wine in hand, I sought out our host, Peter Zemmer of the Peter Zemmer Winery to give him my compliments which he seemed pleased to receive. 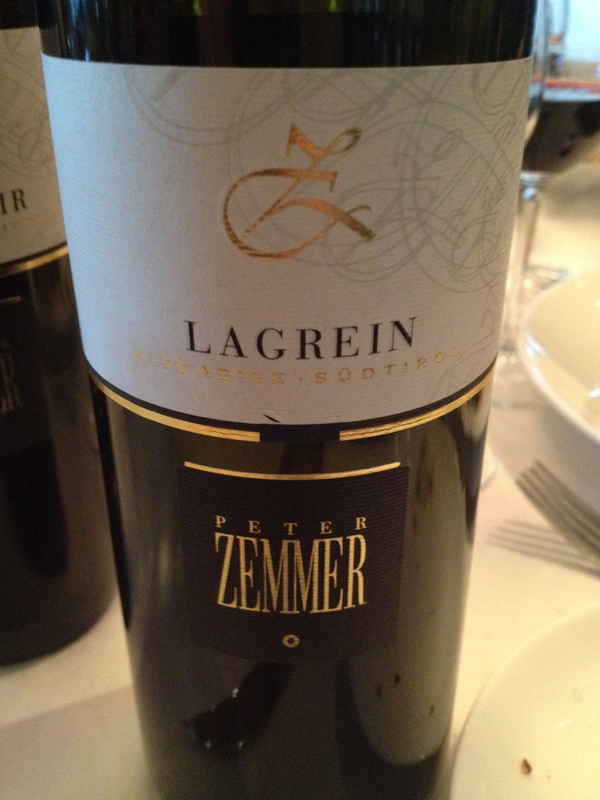 Established in 1928, his winery is located in the Alto Adige-South Tyrol in northeastern Italy. Peter spoke about Cortina D’Ampezzo, a beautiful skiing and hiking resort in the Alps that I visited several years ago, as “his town.” Cortina, he said, is among the smallest communities in the region and is also the last village with a German-speaking majority before the southern border with Trentino. It is also the only village in the Southern Tyrolean Lowlands/Unterland that is situated on the valley floor. He described the vineyards and fruit trees that surround the town and went on to say that the day temperature can be 40 degrees higher than the night temperature, which enhances the aromas and flavors in the grapes. Bolzano, the largest town in the area, can have summer daytime temperatures as high as Palermo, in Sicily. In response to a question about screw caps Peter said that they can use them in foreign markets but in Italy they only want cork. Rhine Riesling 2011 Alto Adige DOC Peter said that this grape is very well suited to the micro-climatic conditions and the loose, well aerated soils in the area. The grapes are pressed and the stems are removed in a pneumatic tank press. Before being pressed, a 6 – 8 hour cold maceration takes place in order to enhance the fruitiness of the wine. 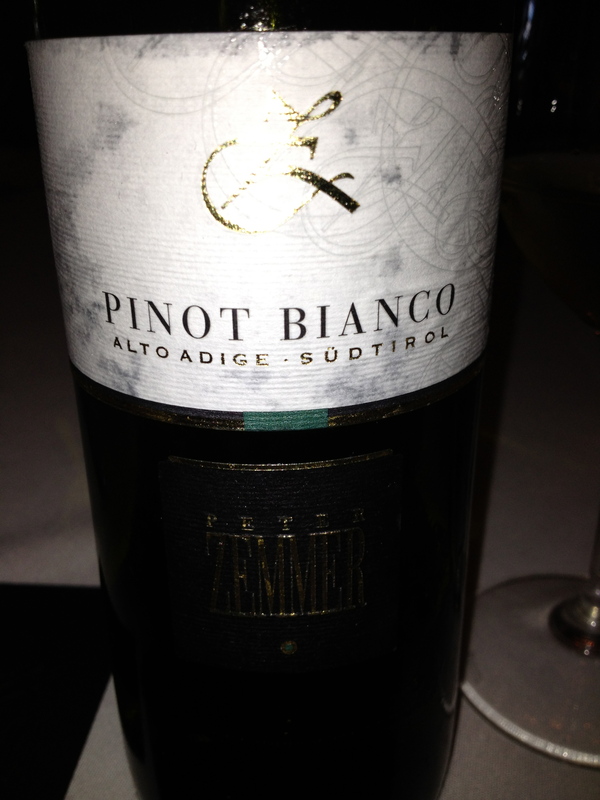 Pinot Bianco 2011 – Alto Adige DOC This Pinot Bianco is a selection of the best vineyards of the valley floor and steep slopes near the vineyard estate. It flourishes under outstanding climatic conditions on a stony, sandy and extremely chalky soil. Peter said that the poor yield per hectare and the particular terroir are responsible for the outstanding quality of the wine. 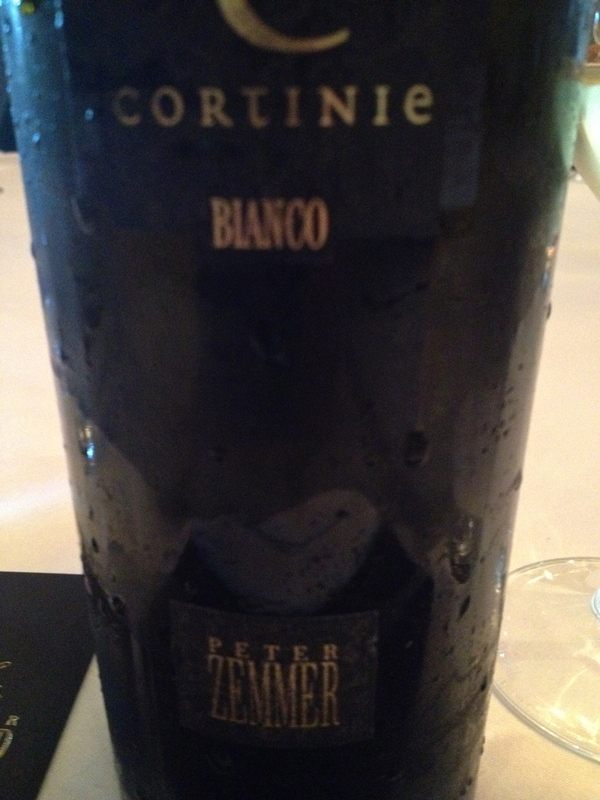 Bianco “Cortinie”(Latin name for Cortina ) 2010 made from Chardonnay, Pinot Grigio, Sauvignon and Gwürztraminer. 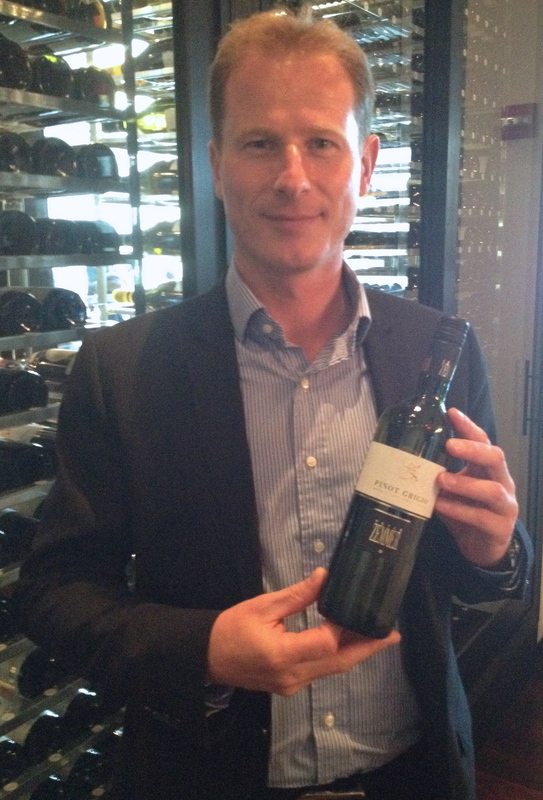 These grapes are grown on the valley floor around the village of Cortina and on the slopes at different altitudes. The aromatic grapes are grown at 600, 400 and 300 meters. Peter explained that grapes from the valley floor give the wine more body and fruit and the ones at the higher altitudes add acidity and minerality. The harvest time is different; the lower vineyards are harvested in August and the highest in late September. Training of the vines is by the guyot method, 6,000 to 9,000 vines per hectare or on the single pergola, 3,500 to 4,000 vines per hectare. Peter said that Sauvignon Blanc, Gewürztraminer and Pinot Grigio do not like a lot of sun and do better under the pergola. The older vineyards are single pergola and the newer are guyot. Peter said that they make 22 wines but only these six are brought into the United States.